Infographic at the main plaza at Cahokia. Monk’s Mound can be seen to the left in the distance. In this blog, I come to you with stories of everyday adventure; I relay the stories to you like you were an old friend sitting with me around a campfire. To me, a blog is an extension of the age-old tradition of oral storytelling. I like to paint a picture of where I’ve been or what I’ve been up to and then I like to hear your stories of the same. Anyway, I find writing about adventures takes the experience and turns it into story and the best stories can become something of family legend. And “legend” is the category where I’ve found myself for a bit of creative writing recently. The second ingredient of the story was my recent travels to Cahokia Mounds and subsequent reading of a book about the people who lived there. 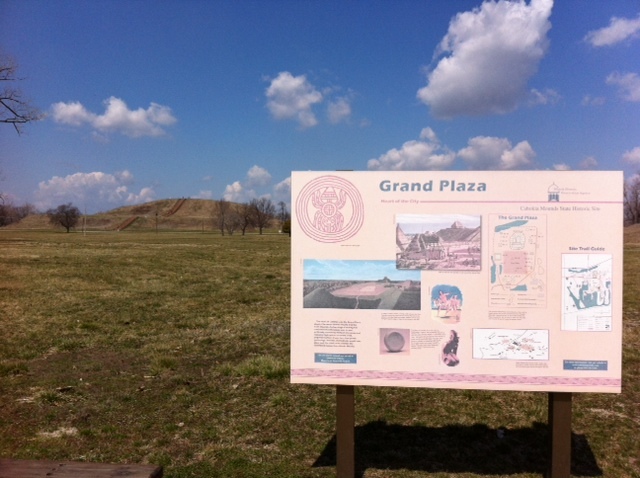 If you’ve not read about my trip to Cahokia and how I climbed the largest earthen pyramid in North America and a World Heritage Site, I suggest clicking here before you read on! The people of Cahokia, like many other native peoples, had an oral tradition which includes a Trickster character. In Norse mythology, the Trickster was named Loki. In the tradition of the Blackfoot has a Trickster named Napi. In other Native American traditions, the Trickster is the Coyote or the Raven. No matter the culture and no matter the name, the archetype of the Trickster is all about chaos. He’s curious and devious. He’s trouble, but he’s also somehow friendly and likable. I think of the Trickster as the guy who runs around your house hiding your car key or steeling your left sock. It’s a character that’s not necessarily malevolent, but sometimes causes harm. He just spins the situation to see where it lands. 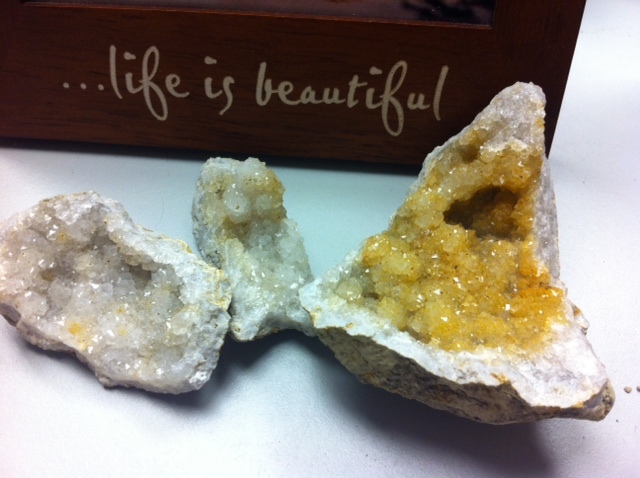 The geodes on my desk. And the last ingredient of this story is my own adventures as a child. My grandmother really does live in a house built in a limestone dell along the Mississippi, and the walls are dotted with geodes. I spent many days as a child running around by the river and collecting geodes to bring back up to the house. My mom or dad would have to get out a hammer- sometimes a sledge hammer for a big one- and we’d crack all my little treasures to reveal the sparkling quartz inside. It was magical then, and when I go back to find geodes today, it’s still magical. There are 3 pieces of geode from the cliff by my grandma’s house sitting on my desk at work, as a matter of fact. I hope you enjoy my 3 Minute Fiction story, The Trickster and the Tears of the Moon. And after the story… read alllllll the way to the bottom because I am giving out prizes. The night my mother died, the Trickster was at the window. 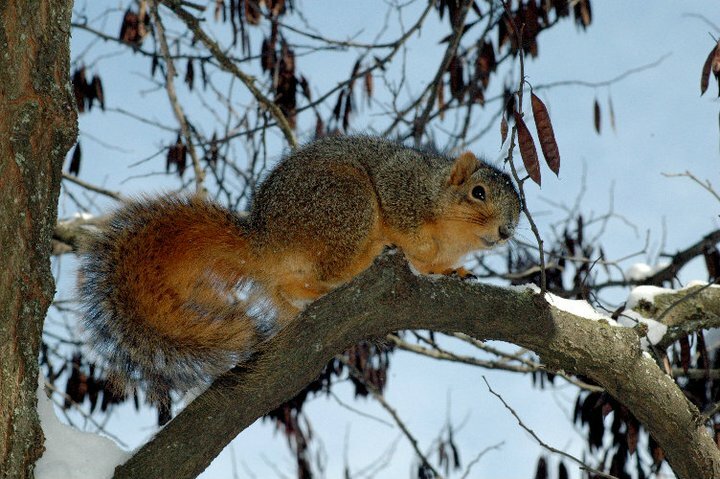 I saw him there with his bushy tail and eyes glinting, and I knew he saw me crying on grandmother’s knee. He was listening too, when she spoke of the tears of the moon. “On nights like tonight, the moon cries,” grandmother said. “And tears of the moon find pockets here in the hillside.” And she reached into her satchel and pulled out a small, roundish rock with a crack through the center. I gently pulled the halves apart and my eyes danced across the most beautiful, sparkling crystals inside the ugly stone. And Trickster saw it too. I nodded through my tears and tucked the stone in my pocket. And Trickster watched where I put it. Many people assumed the Trickster had left the limestone bluffs of the Mississippi long ago- maybe when the Indians had left or when the railroad had been built. Surely he was gone when we got cable television? But he never left really, and I knew that as a child. And the Trickster heard Old Magic in my grandmother’s story and wanted the tears of the moon for himself. As I grew, I often played near my grandmother’s home. I always kept the little geode in my pocket, but one summer day, the stone fell out and landed among the other stones. And the Trickster found it. You see, he had been collecting little, ugly, balls of rock like my grandmother had given me. He’d haul them back to his tree to look for the magic tears of the moon, but could not crack any of the stones. Soon his tree was full of stones that were full of magic but that the Trickster was unable to get to. But when he found my stone, he rejoiced because the magic was finally his. He took it to his home where he could barely fit in the opening because of all of his stones. And he bragged to the birds nearby about the magic he had found. He showed them the crystals and told them about the tears of the moon. I cried that I’d lost my stone and the summer and autumn wore on. The Trickster spent his time in his crowded tree, staring at the beautiful crystals and thinking himself very clever. Winter came and winter stayed. I had not thought about the Trickster until one snowy night, under the full moon, I saw him sitting on my grandmother’s porch barely able to lift his head. Hello, Trickster said to me. Trickster! I said, startled. Why do you look so ill? It is full. But I have no acorns. Then what is it full of, Trickster? Then I will not help you. And I could see in his eyes what he was hiding. You’ve found my stone, haven’t you Trickster? I have found many stones with much magic and they belong to me. Then use your magic stones for a meal, I said to him. I can’t use the magic, he sighed. And I knew the Trickster had learned. The tears the moon cried the night my mother died were not meant for him. That magic was only for me. And even though he had my stone, the magic stayed with me. 600 Words or less. You can submit your story on my Facebook page, in a comment on this blog or by email to laura sievert at outlook dotcom <- no spaces… you see what I’m doing there. ANYONE who submits a Trickster story wins, up to 10 winners. I really hope I get some entries. Creative writing is awesome. Have fun with it! Contest ends July 6th or when I get 10 stories… whichever comes first.